This bird could move pretty fast when it wanted to. 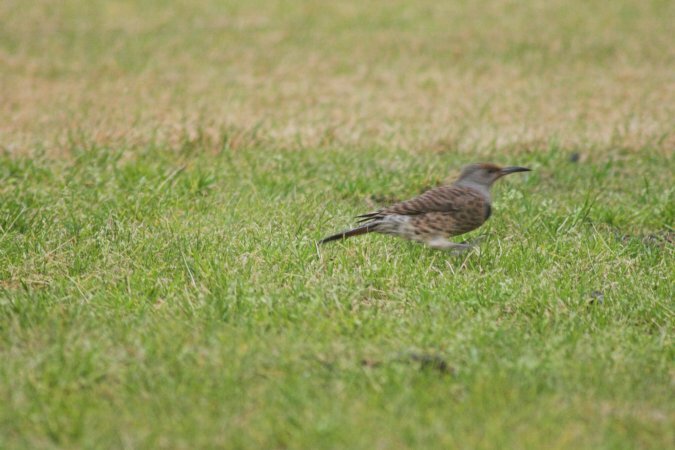 Notice the grass is pretty sharp, but the bird is blurred. The shutter speed was 1/200 sec.